$10 - Education Groups of 12 or more Call Julie Nagy at 732-528-9224 for group reservations. Seating for Algonquin Education Series performances is assigned by the Education Director to ensure that schools will be seated together to the extent possible and to expedite the arrival and departure process. Individual ticket purchasers will be grouped together a block of reserved, general admission seats. 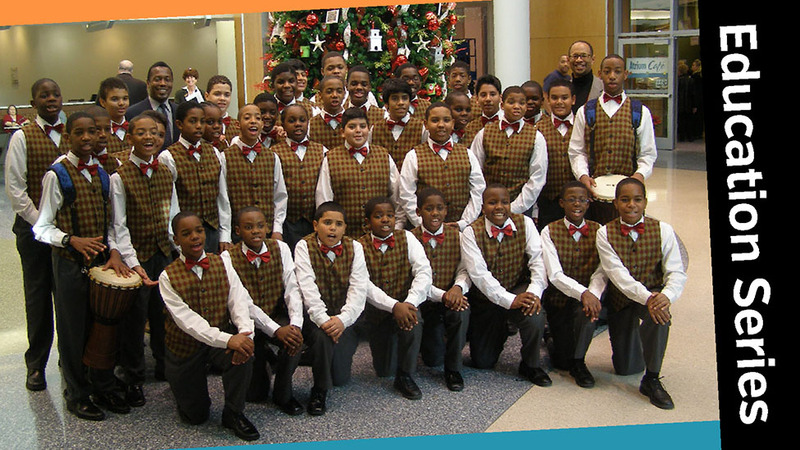 Join us for an hour long concert featuring the Newark Boys Chorus. Enjoy a medley of holiday favorites with Newark's "Musical Ambassadors", a Chorus that has been heard throughout the world with a diverse repertoire that includes traditional classical music, spirituals, folk music, and jazz.